Ubisoft has revealed the various bonuses that gamers will receive should they choose to put in a pre-order for Assassin’s Creed IV Black Flag. Admittedly, it’s all pretty standard stuff, with extra costumes, weapons and missions being thrown into the mix. Still, it’s hard to go wrong with a pre-order bonus, since it’s essentially more content for free. So, with that in mind, if you’re interested in receiving some bonuses for the game then check out the list below of what’s being offered. GameStop Black Island pack: The deadly black ship, a Captain Morgan costume, and his silver flintlock pistol. Amazon Hidden Mystery pack: Extra treasure-hunting mission on Mystery Island, Stede Bonnet’s ship and Sted Bonnet costumes, and multiplayer items. Walmart Sacrificed Secrets pack: Captain Drakehis dual-wield swords and pistols, his picture, title, and relics. Best Buy Lost Treasures pack: Ivory wheel and spyglass relic. Target Trove of Mystery pack: Iron wheel and astrolab relic. Like we said, nothing here particularly stands out though between the five retailers, I’d say Amazon and GameStop offer the best bonuses, as is usually the case. Poised to be a must-have AAA title, there’s no reason not to pre-order the game. 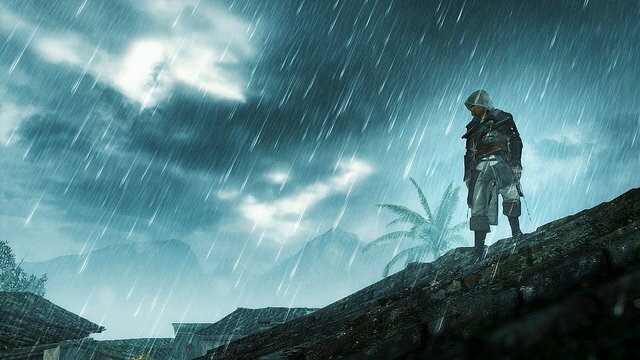 We’ll be the first to admit that some of the titles in the Assassin’s Creed series have fallen flat, but it really looks like Ubisoft is set to deliver a rocksolid experience with Black Flag. From everything I’ve seen thus far, I’m sold. Tell us, where will you be pre-ordering your copy of Assassin’s Creed IV Black Flag? If you’d like to do so at Amazon, click here and secure your copy today.